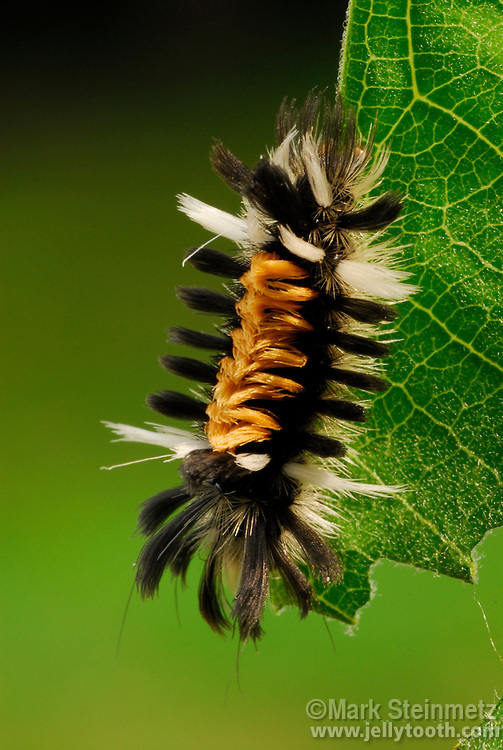 Milkweed Tussock Moth (Echaetes egle) caterpillar eating Common Milkweed leaves. Also known as Milkweed Tiger Moth. Range is the eastern half of North America. Similar to the Monarch, it's host plants are the milkweeds. By eating these plants through much of its life cycle, it acquires a chemical defense via cardiac glycosides, making them unpalatable to such predators as bats.